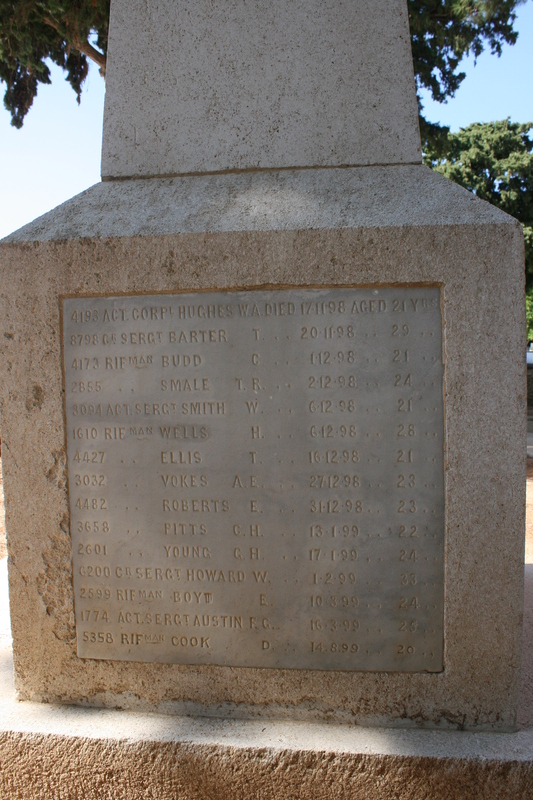 October | 2015 | The British in Crete, 1896 to 1913. 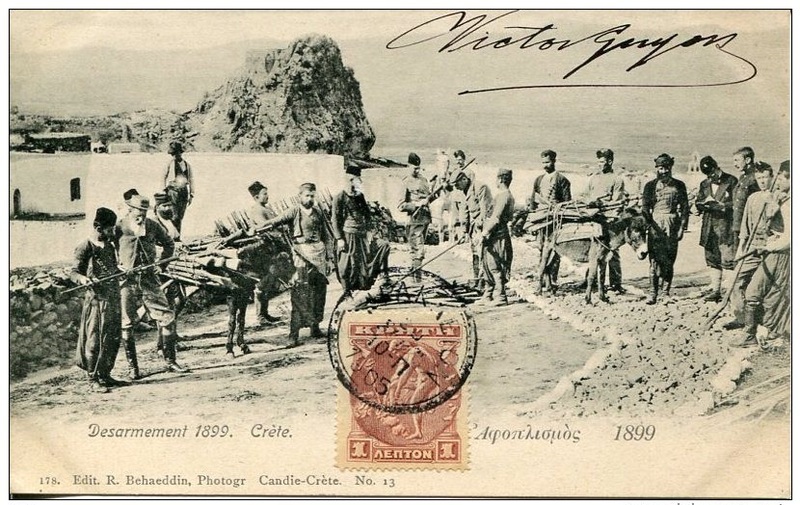 Enosis – Union of Greece and Crete. 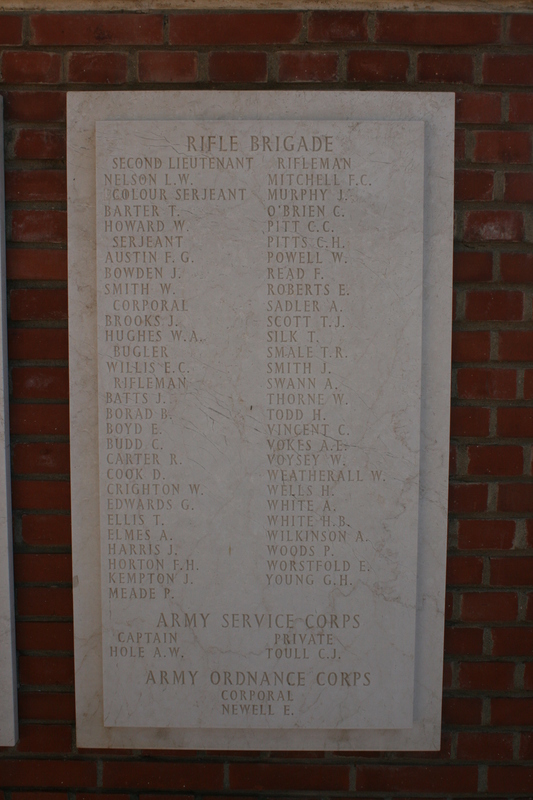 1st December 1913. 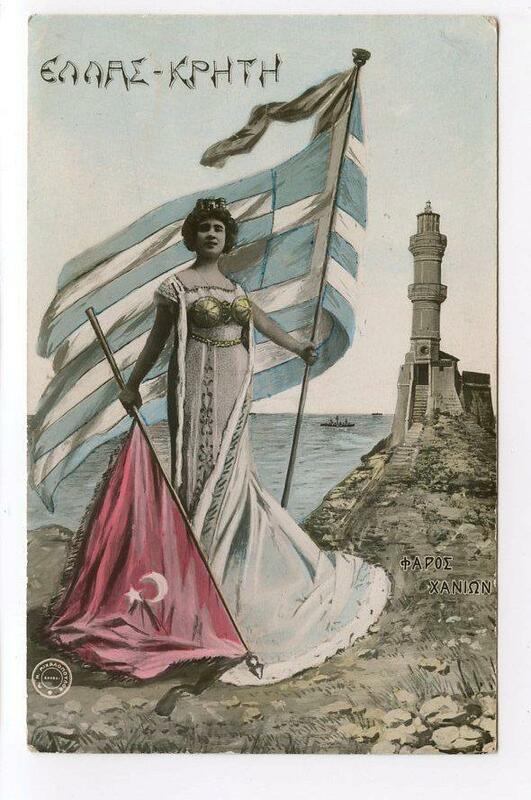 Postcard celebrating the union of Crete and Greece, 1 December 1913. The figure is shown standing on the sea-wall at Canea, the then capital of Crete. Not quite sure how practical that dress is going to be in the Cretan hills…. This entry was posted in Enosis and tagged Crete 1913, enosis on October 17, 2015 by Mick McT.